Our skilled Support Planner team are sincere people who care about their participants. A day in the life of a support planner focuses on person centred case management, maximising health and community participation, advocating our participant’s independence and assisting participants to achieve their goals. Integral to the administration of the NIISQ, the team work together to deliver quality coordinated, efficient and evidence based services to our participants and their families or support networks. Every day involves working closely with participants to assess their current and future treatment, care and support needs and access services in their community. Most importantly, the team share a genuine passion for providing support to people who need it most. Tracey joined the team in February 2017 as our Support Planner Manager and was involved in the preparation for the introduction of the Scheme. A qualified physiotherapist, Tracey brings a wealth of experience in injury case management acquired from her previous management role working with catastrophic injury claims. Leading the NIISQ Agency’s Support Planning team to develop and implement strategies for effective case management, Tracey finds her new role both challenging and rewarding. “It’s exciting to be a part of a new Scheme that fills the gap for Queenslanders and provides expert support for a specialised cohort,” said Tracey. A big believer in sharing knowledge and opening dialogues that drive innovation, Tracey loves coming to work every day and engaging with various stakeholders to encourage industry support of the scheme. Gaenor has spent most of her career working in the disability sector, either for not-for-profit organisations or in community rehabilitation teams. Gaenor’s most recent role before joining the team in January 2018 was an Injury Management Advisor, working with people who had experienced a motor vehicle accident. Gaenor has been involved in the industry in a broad sense for approximately fifteen years since her work as a teacher aide working with people with vision impairments and ASD. Following this, Gaenor’s focus has been on complex disability and neurological disorders. “Working with people with complex disability is the best fit for me. People sometimes call it rewarding, but I don’t think that paints a clear enough picture and it can overlook the generosity of people who let us into their lives when they are experiencing a challenging time,” said Gaenor. An Occupational Therapist with a passion for technology, Gaenor has served many years in the assistive technology (AT) space and understands the difference that the right (or wrong) piece of AT can provide for a person. Bradene joined the team in November 2018, following a lengthy career working as a community occupational therapist with people living with complex disabilities. A qualified occupational therapist with post graduate qualifications in Health Services Management, Bradene brings both her professional and personal experiences to her role as a Support Planner. “I have always been very interested in biology and the human body. When I was growing up, a family member acquired a disability and through my involvement in his life, I observed the role of health professionals and the importance of the different health services and systems in assisting him. This cemented my desire to pursue a career as a health professional as it would enable me to assist individuals in similar situations,” said Bradene. Bradene has a special interest in helping injured individuals to identify appropriate assistive technology that contributes to individuals maintaining or returning to their valued daily activities. This interest led to her work as a clinical advisor for other state and federal government agencies that provide funding to people living with disabilities. Bradene is motivated to work within a highly skilled and dedicated team. “I feel very fortunate that participants have welcomed me in to their lives, often during very difficult times. There is no better feeling to me than seeing participants make genuine progress towards their goals,” said Bradene. Genevieve joined the Support Planner team in November 2018. She has more than twenty years of experience as an Occupational Therapist in Australia and Canada. Genevieve has worked in public and private sectors, as a Clinical Specialist in Adult Physical Rehabilitation and has completed post graduate studies in Clinical Rehabilitation at Flinders University, South Australia. Genevieve brings to NIISQ her specialised experience in spinal cord injury and acquired brain injury rehabilitation. Genevieve’s career long passion working in rehabilitation management commenced when she worked for the South Australian Spinal Cord Injury Service. In 2009 Genevieve established a private practice specialising in community case management and rehabilitation management for persons who had sustained severe personal injuries, and has also worked for the Queensland Spinal Cord Injuries Service (Spinal Outreach Team). Samantha joined the team in June 2016 during the implementation of the Scheme. She said “it has been so rewarding being here from the inception of the Scheme commencement and being a part of developing the understanding around how the Scheme will be so beneficial to thousands of individuals over their lifetime”. Samantha is no stranger to providing support and rehabilitation to seriously injured individuals and their families, having extensive medical training and education whilst working in rehabilitation and injury management for the majority of her career. She continues to find pertinent areas of study and education to increase her knowledge in this exciting field of rehabilitation and recovery. Passionate about people, Samantha thrives on finding solutions for her participants and is very focused on achieving results no matter the situation. “Being a support planner means having genuine empathy and understanding, as well as being an effective problem solver,” she said. “I am passionate about being able to assist those who are adjusting as a result of a life changing injury”. A qualified Psychologist with a PhD in Neuropsychology, Hannah joined the Support Planner team in March 2018. She brings her strong interest in recovery from brain and spinal injuries and her experience working in occupational rehabilitation, facilitating return to work following workplace injury. Her work in occupational rehabilitation gave Hannah an introduction into enabling ‘whole person recovery’ and the positive impact that early intervention, good quality therapies and proper support can have on outcomes for people with serious personal injuries. Brett dedicated the last ten years of his career helping others in their time of need from catastrophic weather events in general insurance through to complex and catastrophic injuries in life insurance and workers’ compensation. Over the years he has developed a passion for injury management and is a strong believer in the health benefits of work. As a result, Brett has chosen a career path that helps people return to health and work after experiencing an injury, more predominately serious/catastrophic injuries. Brett joined the NIISQ Agency in October 2017. Kerry joined the NIISQ Agency in December 2018, bringing a wealth of experience across occupational rehabilitation, return to work and driving assessment, spinal cord injury and neurological rehabilitation within both the hospital and community sectors. In addition to holding a Bachelor of Occupational Therapy, Kerry has Occupational Therapy driving assessor qualifications, with a Graduate diploma in Occupational Health and Safety and a Masters of Applied Science – Research. Kerry has a long-time interest in the driving outcomes of people with acquired brain injury, having completed her research thesis on the subject. Kerry is now applying her experience to the NIISQ Support Planner role, to help NIISQ participants to successfully adapt to their life roles, occupations and interests. “Throughout my career, I have been privileged to work with people from various backgrounds, life stages and disability, and believe that collaborative relationships enable people to achieve great outcomes,” said Kerry. Andrea joined the NIISQ Agency in July 2018. With a background in clinical exercise physiology, she has spent most of her career working in the disability sector. Andrea’s passion for working towards an inclusive world is a perfect fit for the NIISQ team. She also brings experience working in a similar scheme interstate. “Having worked at a similar scheme, I know the difference that this kind of work can make in people’s lives. I think this is important to creating a society that values everyone,” said Andrea. Andrea looks forward to contributing to the ongoing development of NIISQ. Sean commenced in a Support Planner – Community role in July 2017. After studying a Bachelor in Occupational Therapy, Sean worked as a Rehabilitation Consultant and Occupational Therapist. His first role involved fly-in-fly-out work to Central Queensland mines where he gained experience case managing injured coal mine workers. Also a qualified Occupational Therapy Driving Assessor, and holding a qualification in Lymphoedema Management Level 1, Sean is keen to continue learning to help participants get the most out of their rehabilitation. Lisa joined the team in a Support Planner – Community role in July 2017. A highly experience human services worker who has studied in the areas of Person Centred Planning and Disability, Lisa said she didn’t hesitate in applying to join the Support Planner team. “My personal framework is underpinned by person-centred practice and social justice. I believe that every individual deserves the opportunity to develop to their fullest and I strive to assist this journey where I can, which is what motivates me,” said Lisa. Lisa shares the values of the Support Planner team and as an ‘outside the box’ thinker, she hopes to bring creative ideas to her team and the participants she supports. Trang is a qualified Occupational Therapist who joined the NIISQ Agency in May 2018, bringing experience within the disability sector. Her previous role in disability employment services provided a solid foundation to work with NIISQ participants in her Support Planner – Community role. Trang believes that being able to find the right support as early as possible can help participants to feel empowered. She is passionate about challenging community expectations of those living with disability and celebrating individual differences in diversity. “I believe in the potential of people and that if given the right support we are all capable of achieving great things,” said Trang. Trang enjoys meeting people at their various life stages and says that it is a privilege to be part of their journey. This passion is a great fit for the Support Planner team that celebrates individual differences in diversity. She looks forward to making an impact and supporting participants earlier in their journey at such an overwhelming time in their life. Trang hopes that, through tailored support, participants will be able to have the means to support themselves where possible. Ryan joined the NIISQ team in a Claims Assessor role in November 2018. Ryan brings considerable experience managing Compulsory Third Party personal injury claims. “I feel fortunate to be contributing to a Scheme that is able to support seriously injured people to adjust to their new life roles,” said Ryan. Tracey joined the NIISQ Agency in November 2017 bringing 21 years in the CTP personal injury space in various support roles and is the go-to person behind our Support Planner team. “My team motivates me as they are so knowledgeable and invested in the work they do. 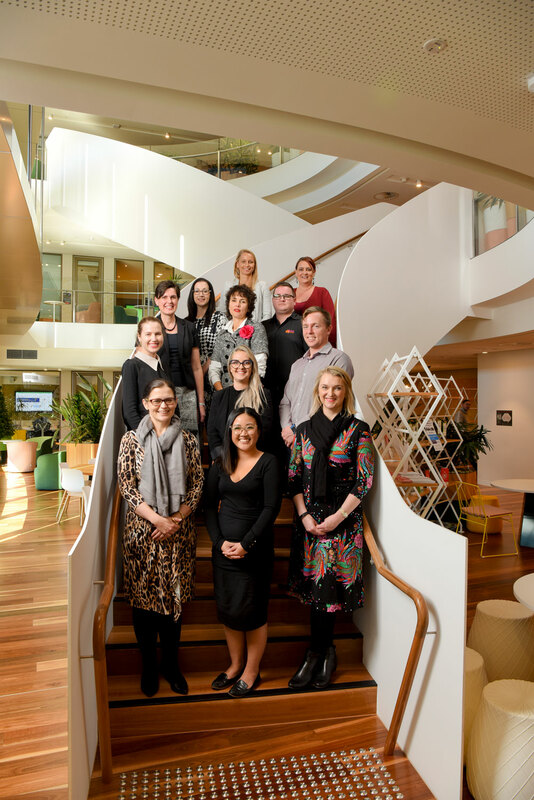 Hearing stories from my colleagues about the positive outcomes our participants have makes everything I do behind the scenes at the NIISQ Agency so rewarding,” said Tracey. She said she was drawn to working for the NIISQ Agency as she liked the personable approach that the NIISQ Agency have with their participants. “Meeting some of the participants and other seriously injured people through the NIISQ Photographic Exhibition has been a real highlight so far”. Tracey looks forward to learning as much as she can to support the team and NIISQ’s participants. Karen joined the NIISQ Agency in July 2018 in a Service Support Officer role. “When I saw the role description, I knew that this was exactly what I was looking for,” said Karen. Karen’s combined skills, experience and passion is an excellent fit for providing assistance to the NIISQ Support Planners. Karen’s career includes working as a school officer aiding and encouraging children with learning and physical disabilities to achieve their best. She brings her most recent experience working for Queensland Health, Medical Aids Subsidy Scheme, Equipment services for the last six years. This role involved assisting with the repairs and maintenance of client equipment such as wheelchairs, shower chairs, hoists and walking aids, and arranging the approval and provision of new equipment for clients to enable them to have a better quality of life. Karen says she was attracted to NIISQ as the Scheme is giving a quality of life to people and their families who have had a life changing accident. Roslyn joined the NIISQ Agency in December 2018 in a Community Services Coordinator role, bringing a Bachelor in Behavioural Science Psychology and a Diploma of Disabilities. “My passion for the community sector started at thirteen years old when I volunteered in my spare time at a disability support service,” said Roslyn. Roslyn’s desire to work with people is evident from her extensive human services career, including dedicated case management and support coordination roles within the disability sector. “I have a fundamental belief in working from a person-centred framework. My goal is to give participants of NIISQ high-quality service where they feel empowered, respected and informed,” said Roslyn. Renee commenced in a Community Services Coordinator role in January 2019, after spending a lengthy career in Disability Services. She brings her Bachelor of Social Work and her experience working with children and adults with complex disability support needs, providing clinical social work and case management. “I have always been interested in the field of disability. I like the diversity of the people that you get to meet,” said Renee. Renee’s passion for working in partnership with people and supporting individuals to identify, plan and understand immediate and future needs is an excellent fit for her role with the NIISQ Agency. Renee is motivated to contribute to promoting inclusiveness and to support individuals to feel valued and respected within society.